Google revealed their first efforts in becoming a high-profile telecommunications company, as they arrived in Kansas City to launch their new ‘ultra-high speed’ Google Fibre service, and now they are adding more cities. The ‘Fibre’ package is one which enables users to subscribe to ‘Internet and television services’ as of next month (with the start of the ‘installation’ process) and have made an astonishing connection speed-based promise of being able to go ‘100 times faster’ than more traditional broadband powerhouses around the world. 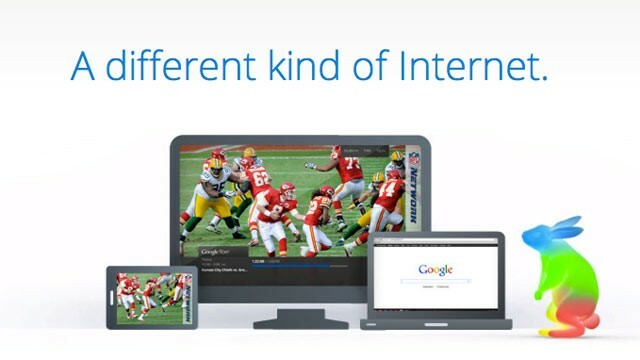 The service (which will focus mainly on a $120-per-month ‘set’ of internet (1gb/s), a connected TV package (with over 100 supported networks), and cloud storage (1tb) ) will be launched exclusively to the Kansas City market upon initial release as more of a ‘trial version’. And the area covered has now increased other areas including Westwood, Westwood Hills and Mission Woods joining Kansas City. Video services set to be accessible on TV through the ‘ultra high-speed’ connections will include regular channels (and their online catch-up services) alongside big-name online services such as Netflix, YouTube, Starz (premium content), and content from media powerhouses such as Discovery Networks, Time Warner (CNN, TNT and TBS), and Walt Disney Co. (Disney and ESPN), with plans to add more names to the list as the Fiber service grows. Meanwhile, the full service will also include the ability to record a maximum of 8 TV shows at once, and store around 500 hours of HD programming, with TV control also enabled through tablets or smartphones (most notably the Google Nexus 7). Google have revealed their plans to also include an ‘Internet-only’ offering at a rate of $70 a month with no setback to the ambitious 1 gigabyte-per second selling point, while Google are also set to charge customers an initial $300 ‘installation fee’ regardless of their package, claiming that buyers can chalk it up as a ‘home improvement’ cost. In addition, the company are planning to tie their Fiber product into a new initiative called ‘fibrehoods’, where a group of over 50 registered people (paying a $10 registration fee) in the same ‘neighbourhood’ will be able to receive a local area installation, presumably offering a more reliable service to those users in close proximity to a ‘fiber community’.